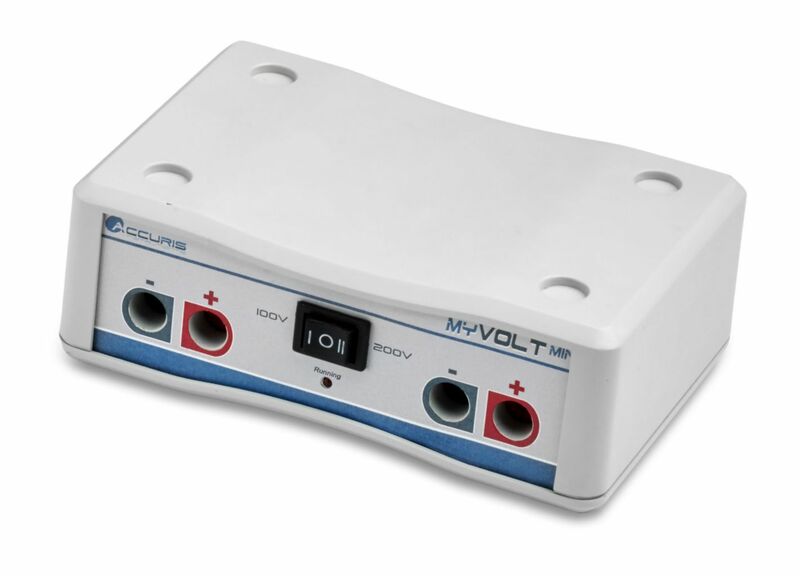 Ideal for basic, constant voltage applications. Mini compact electrophoresis power supply ideal for basic, constant voltage applications. 2 sets of output jacks are available to connect up to 2 gel rigs.